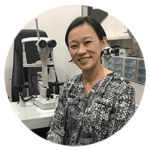 Discover why this evidence-based treatment is recommended by optometrists who are passionate about preventing myopia progression! Are you tired of wearing spectacles or contact lenses day after day? Do you or your child have myopia which continually worsens year after year? Do you actively engage in sports and find that wearing spectacles or contact lenses is such a hassle? Do you have apprehensions or are not a suitable candidate for laser corrective surgery? Sometimes the greatest obstacles we face come from our personal limitations. When blurry vision stands between you and the life you want to live, you’d want to find a safe, convenient and effective solution that gives you clear vision and the freedom to move about and just live in the moment. Ortho-K uses special contact lenses which you wear while you sleep, gently reshaping your cornea (the transparent outer layer of the eye). In the morning, you remove the lenses and experience vision that’s clearer than ever—through naked eyes! Ortho-K can not only improve your current vision and give you freedom from spectacles and contact lenses, but also prevent your vision from getting worse year after year! Also, Ortho-K is not only safe but recommended for children. SLEEP SOUNDLY AT NIGHT AND WAKE UP TO CLEAR VISION! OPTOMETRISTS SHARE THE LIFE-CHANGING BENEFITS OF ORTHO-K INCLUDING THEIR OWN! A little book that’s BIG on information! 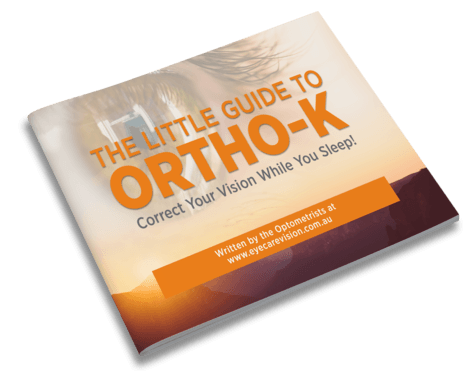 All you need to know about Ortho-K prepared by our optometrists in easy-to-read format! Want to know if Ortho-K will work for you? 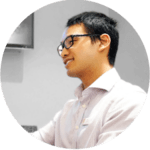 Book in with one of our Ortho-K accredited optometry practices to check your suitability!